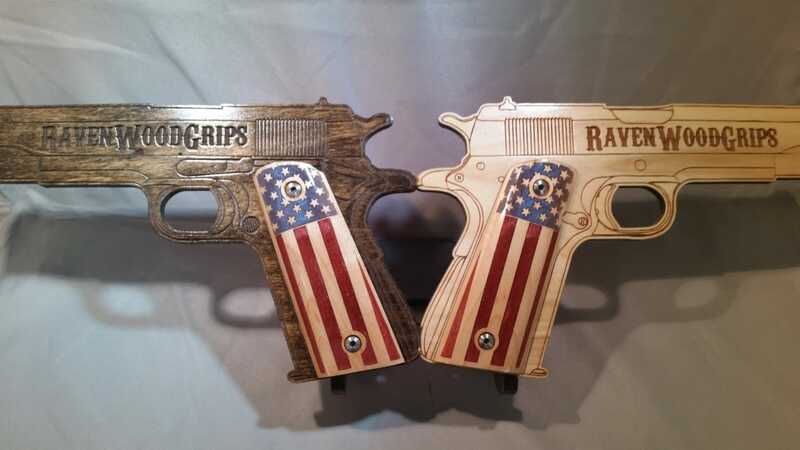 This set of grips is as PATRIOTIC as you can get. 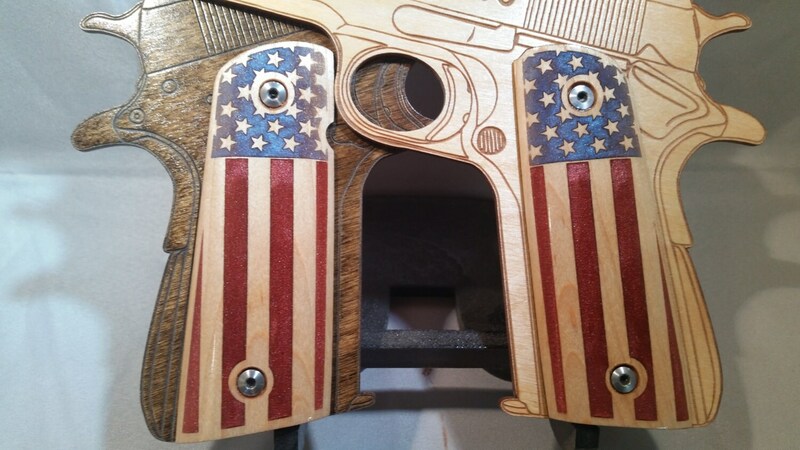 The 1911 is one of the most iconic guns in the USA, and these grips are truly a testament to the 1911 and our great nation! 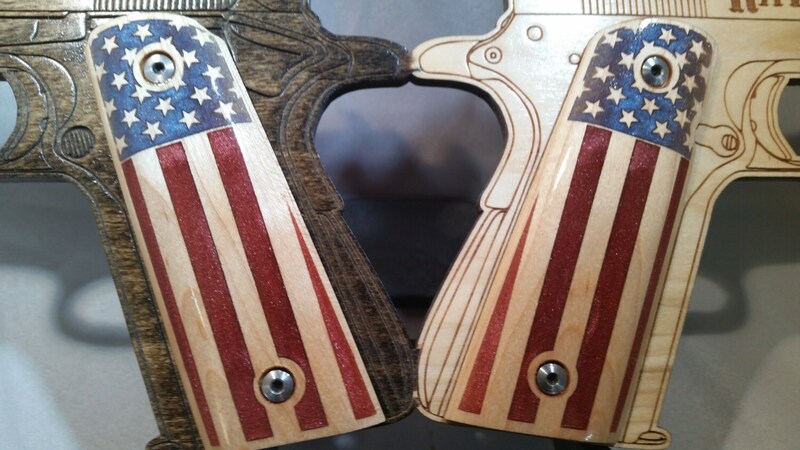 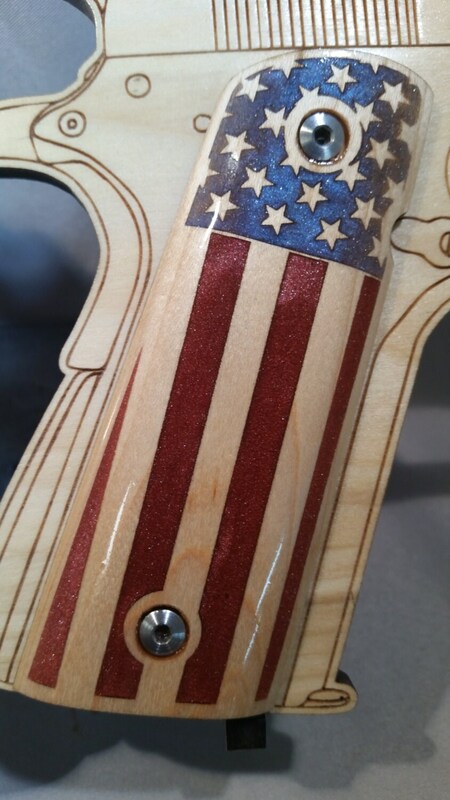 These are made from MAPLE, and inlaid with a draped flag. 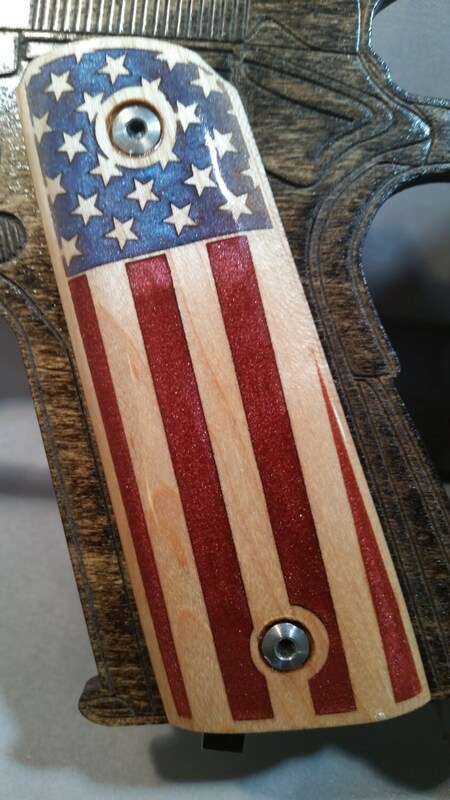 The bars are a beautiful bright red pearl resin, and the field around the stars is a deep, rich blue pearl resin.